A perfect new baby gift! 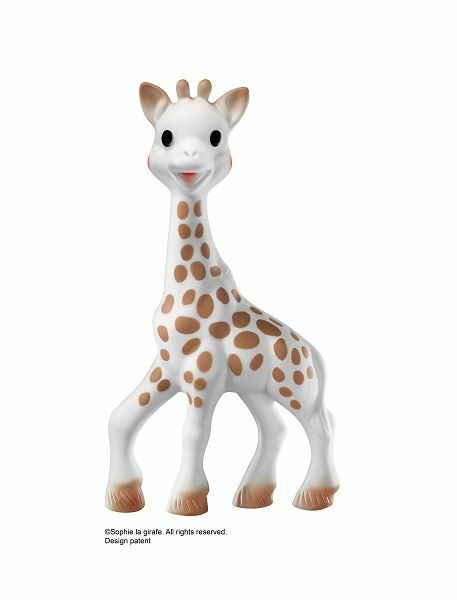 Sophie the Giraffe, baby's first toy in 100% natural rubber to stimulate all the senses. A teething ring in 100% natural rubber. Ideal to soothe painful gums, with multiple parts to chew (ears, horns, legs). 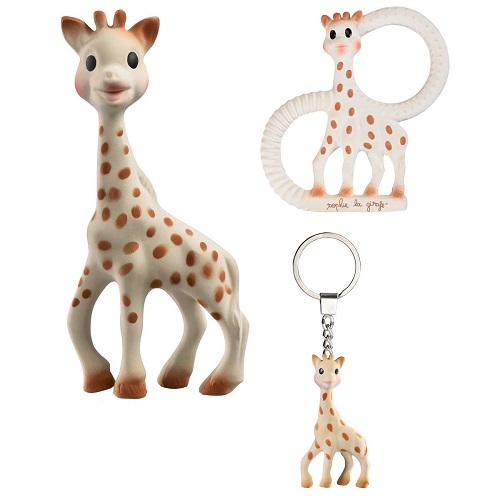 A Sophie the Giraffe keyring in 100% natural rubber, so Mummy can have her very own Sophie the Giraffe.